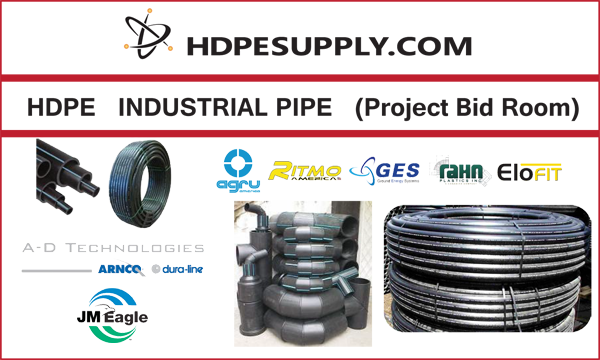 Note: We currently stock black HDPE up to 12" IPS and 12" DIPS as well as Yellow MDPE Pipe up to 8" IPS. All other sizes are special order and require minimum quantities. Non-Stock special order pipe is sold in bulk only. Some unique pipe sizes require larger minimum orders. Quote Requests are Accepted via Email Only. Geothermal, NSF 61/14, AWWA C901, AWWA C906, ASTM D 3035, ASTM F714, ASTM D 2513, Meets IGSHPA Standards. FM Rated. Additional Polyethylene Pipe Sizes, Pressure Ratings, and Classifications are Available. Hdpe and Mdpe Coils and Straight Length Pipe larger than 12" IPS is special order only.